Styling on Dry or Wet Hair? To dry style or wet style that is the question. Some people prefer to set a style on dry hair while others prefer to work on wet/damp hair. External elements such as the weather can play a role, working with stretched or un-stretched hair and the types of products you use also come into play. As for me, it depends on what I am planning on doing with my hair and how I want the results to look. Generally when I style on damp/wet hair I get a more “controlled” result (if that is the correct word for it). My hair has more clumped curls and definition. I keep my hair really damp with my spray water bottle while styling and then apply my products. 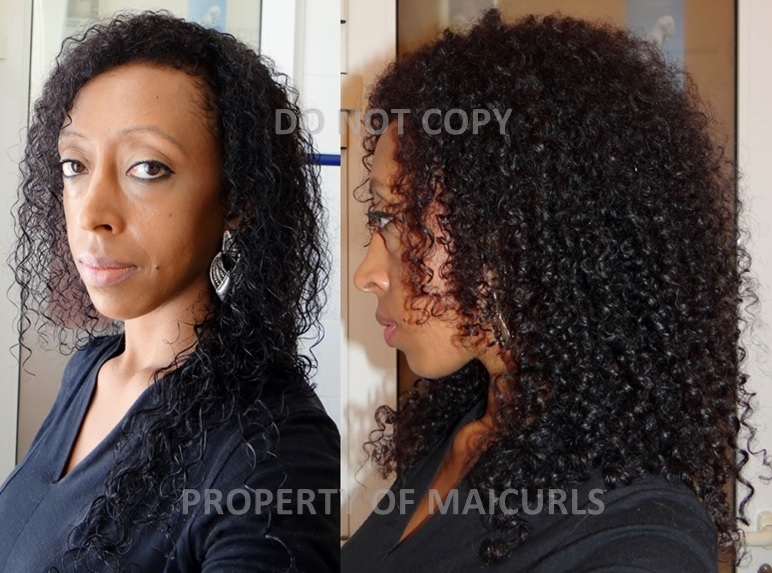 When I style on dry hair, even though I do not “wet” my hair, I use something to lightly mist my hair, usually a few spritzes of my DIY Spray Leave-in or a tiny dab of my Creamy Leave-in conditioner. I will either directly seal with my DIY Mixed Sealing Oil or if I want extra hold I will first apply my DIY Flaxseed Gel followed by my Mixed Sealing Oil. Recently I started using my DIY Whipped Butter. While I love the definition I get when I style on wet/damp hair, I feel like my hair looks the best when I work on dry hair. For whatever reason when I set on wet hair, the results seem too controlled (if you know what I mean). In order to get more fluffy results, I end up having to manipulate my hair which then results in more frizz then fluff because I always try to get rid of the “flat top” on my roots. It is also more time convenient for me to work on dry hair since I do not have a hooded dryer and it can take hours for my hair to be completed dry when it is in twists, braids, Bantu-knots etc. Another reason I like working with dry hair is that I get to stretch my hair a little and that not only means I get to take advantage of the length of my hair but it also limits tangles and Single Strand Knots (SSK’s) and I HATE those! At the end of the day, there is no “right or wrong” way to style our hair. It all depends on what we hope to achieve, how much time we have for styling and our methods. How do you like setting your hair? Do you usually work with dry or wet hair? 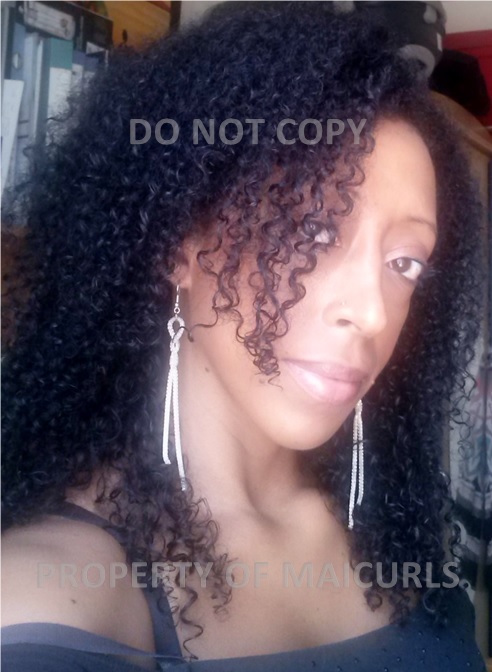 This entry was posted in Dry Styling, Natural Hair, Wash-n-Go, Wet Styling and tagged Dry Styling, Leave-In Conditioner, Sealing Oil, Wash and Go, Wet Styling, Whipped Butter on July 4, 2014 by Maicurls.